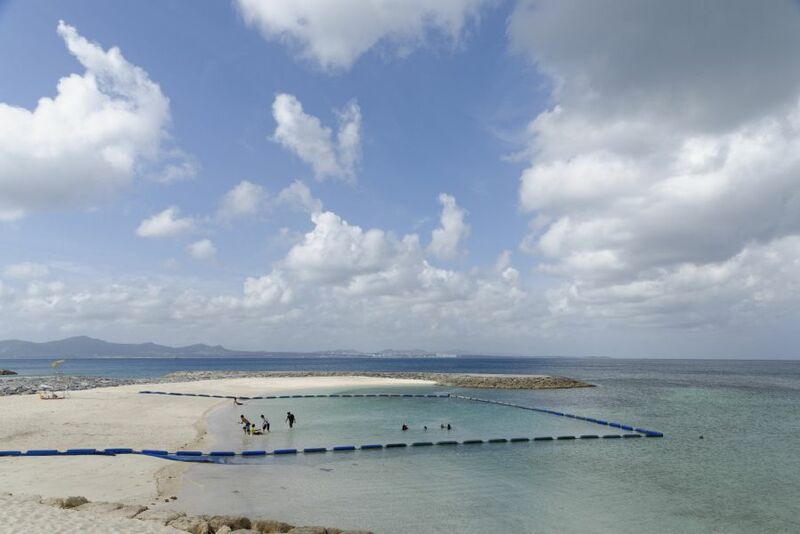 from which you can see the Kin Bay, Ike Island and Miyagi Island connected by the Sea Road. and has been a popular resting beach amongst locals for many years. 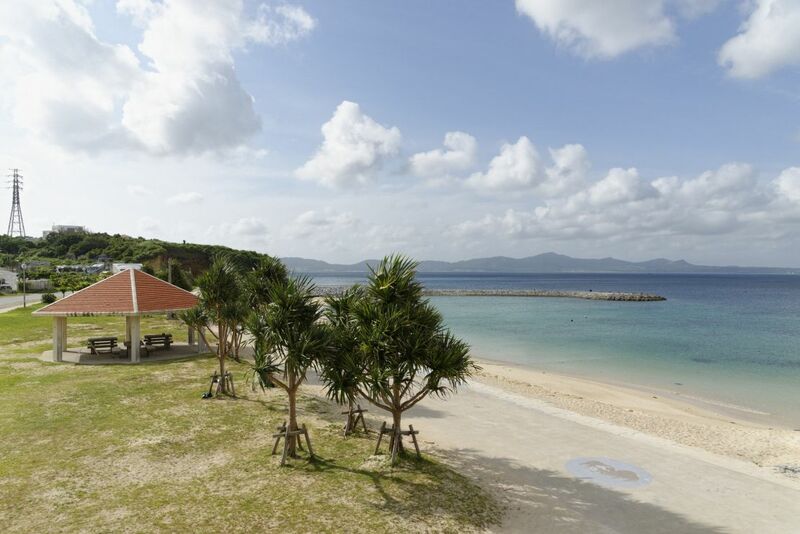 On holidays the beach fills with travelers swimming, sun bathing, playing marine sports and barbequing. 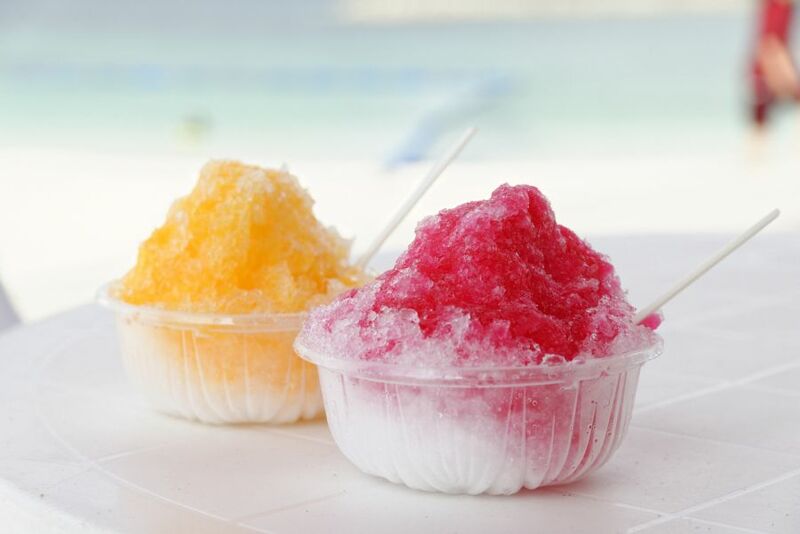 buy shaved sweet ice and cold drinks. so customers can enjoy their swim leisurely and safely. and a sparkling blue ocean that will make you want to jump right in. “make you want to jump in” ocean water you’ll find in the world. 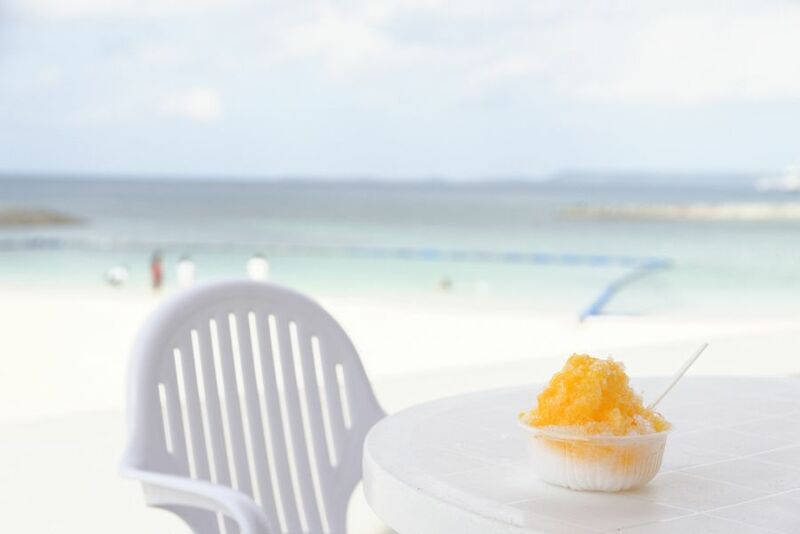 After swimming, cool yourself down with some sweet flavoured shaved ice. 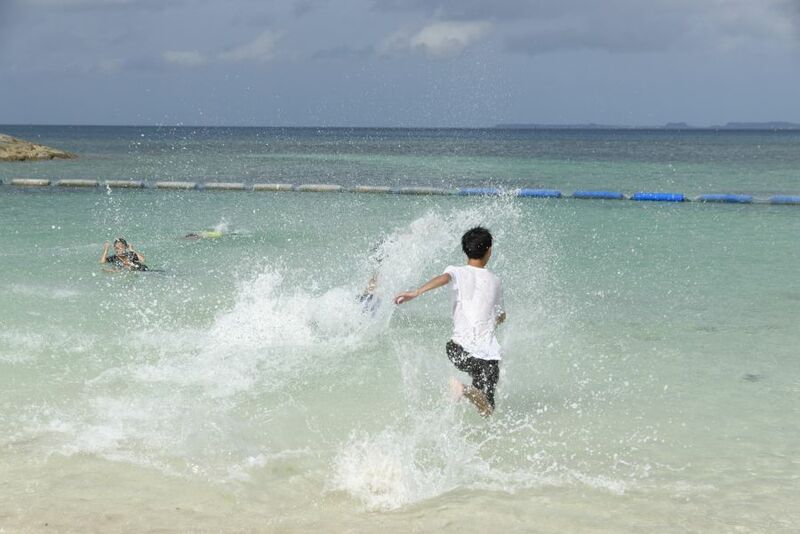 — its the perfect way to enjoy an Okinawan summer. For those who would rather relax in quiet, we would reccomend visiting on week days. and looking at the ocean while talking with eachother. The sounds of the ocean waves are comforting, and the ocean view is one you could sit and watch for forever. that envelops it depending on whether it’s a week days or holiday. 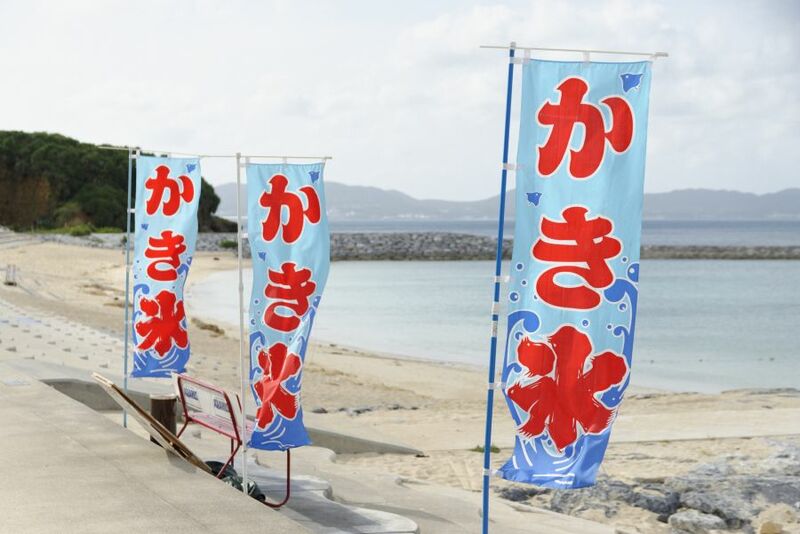 you can come and spend the perfect beach vacation at Uken Beach.